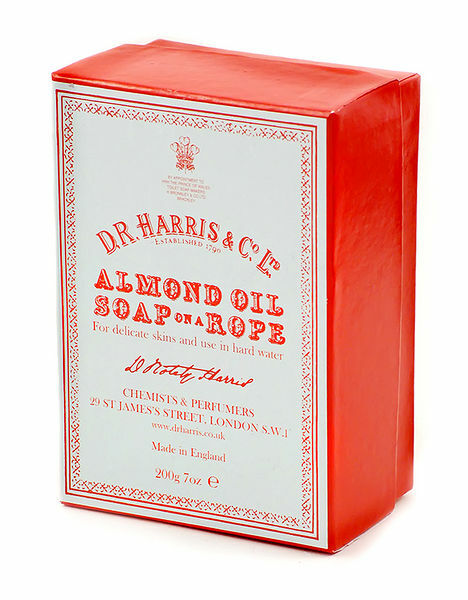 Dr. Harris & Co. has been in business for over 200 hundred years and most of their products are still produced using the same methods as they were when they began. Renowned for their high quality products for both men and women, Dr. Harris & Co. has been the purveyor of grooming products for London’s most dapper folk for centuries. Their Soap on a Rope is the perfect companion for showering at home or at the gym. The rich lather gets you clean while the handy rope helps avoid losing the bar altogether. The company bears the royal warrant of HRH Prince of Wales, so there’s a pretty good chance that Prince Charles is using it too. Get it here. This entry was posted in Uncategorized and tagged Harris Co, HRH, London, Prince Charles. Bookmark the permalink.